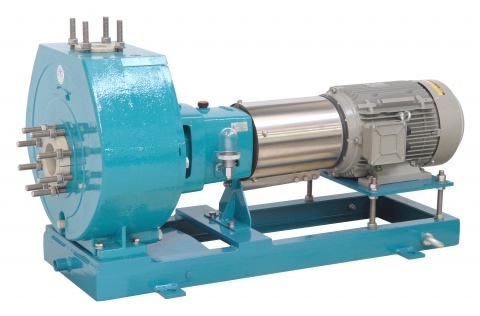 Centrifugal pumps, single stage, horizontal end suction, central top discharge, impeller keyed to shaft, shaft fitted with mechanical seal with sliding rings, encased in metallic armour to relive the casing from all static loads induced by the pipiing. External: Lubricted by the liquid pumped. Internal: Lubricted by the liquid pumped or flushead with liquid from external supply. Double external: Flushead with liquid from external supply.